Scheme Designers started with their first ideas at the bottom of this page and as we collaborated with iterations until we ended up with the final scheme right below this caption. 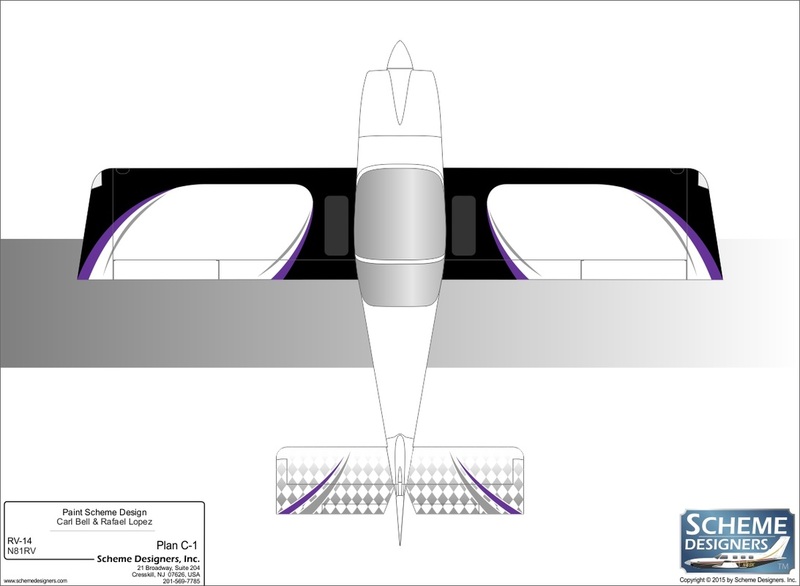 So, it looks like this will end up being the final design with out the checks on the tail. It turns out that it would be considerably more expensive and both painters we talked to thought the tail was over done, and they liked it better without the checks. This may be self serving, but after some discussion with non biased parties they agreed. The top view is meant to deflect the Hershey bar look of the wings and add some flow into the design. Imagine how beautiful (not necessarily functional) an RV would be a tapered wing and tail. 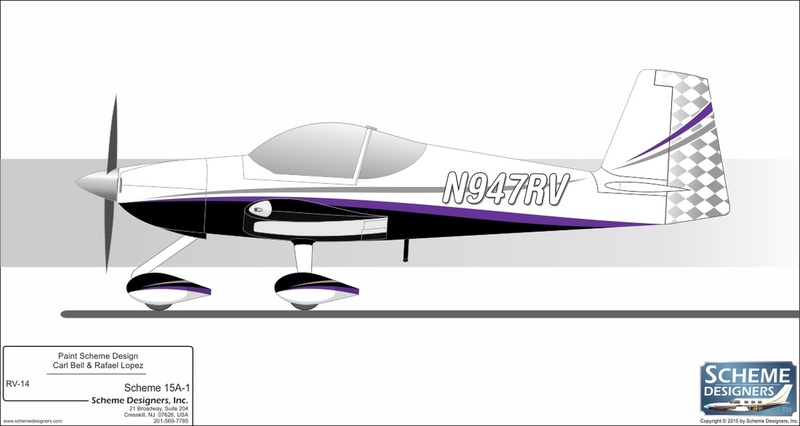 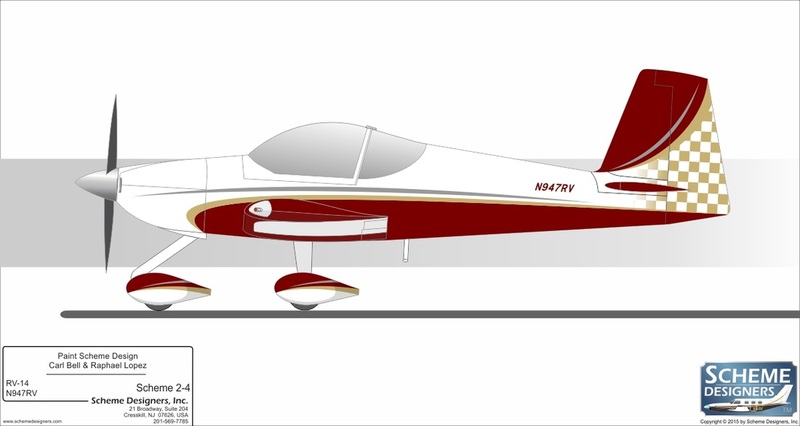 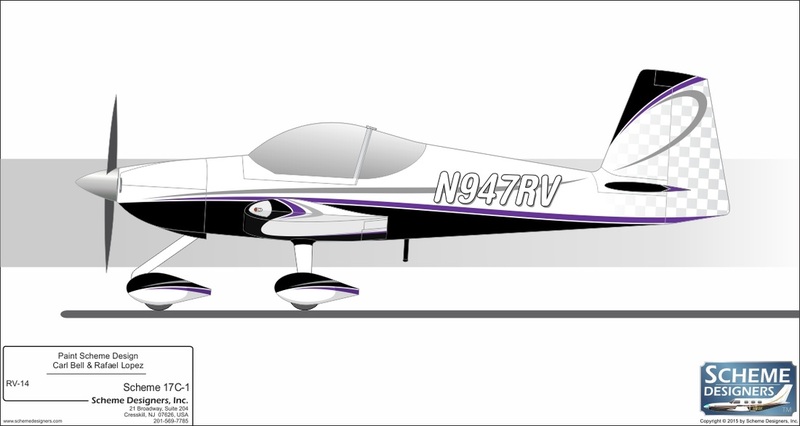 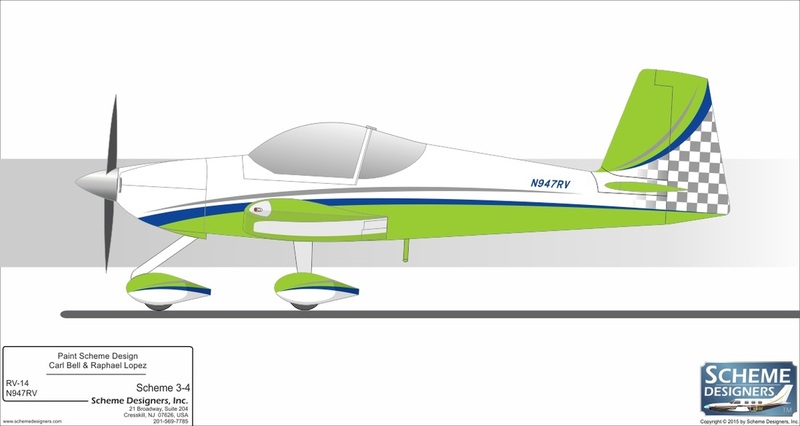 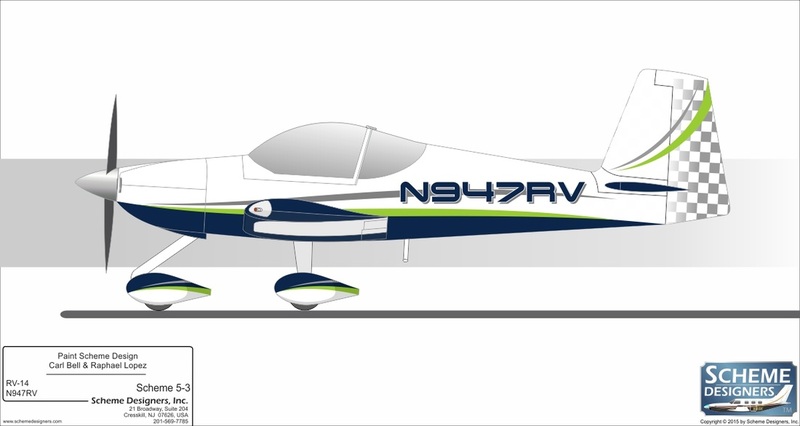 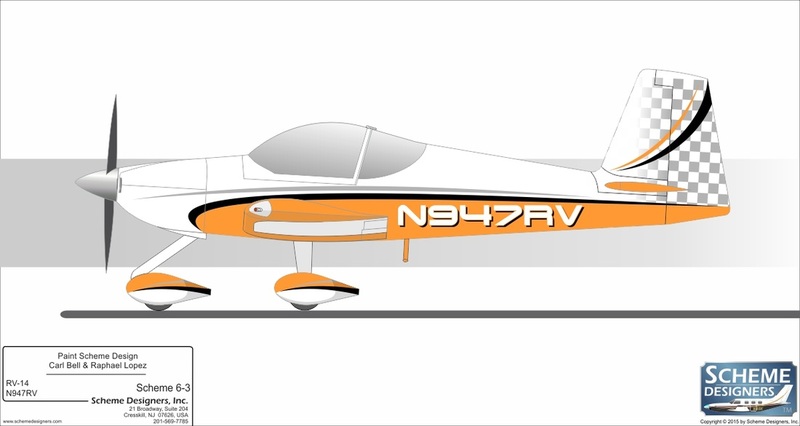 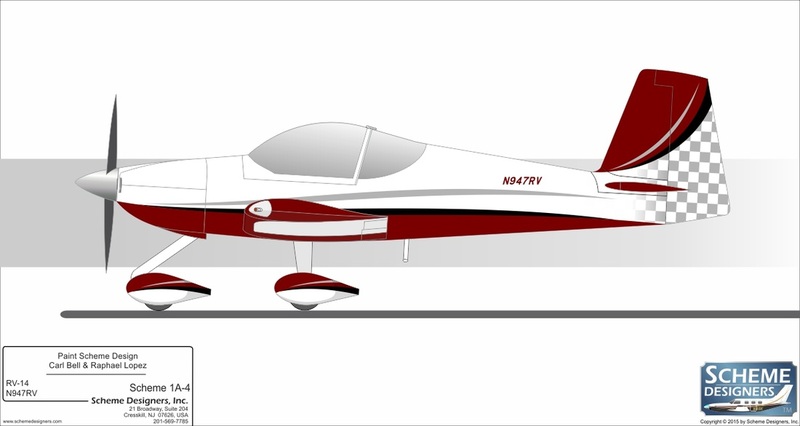 I liked the looks of the tail much better on my RV 7, but I know this tail is better.